Henry Childs is just seventeen when he falls into a love affair so intense it nearly destroys him. To escape the wrath of the young girl’s father, Henry joins the Marines, arriving in Korea on the eve of the brutal battle of the Chosin Reservoir—the defining moment of the Korean War. There he confronts an enemy force far beyond the scope of his imagining, but the challenges he meets upon his return home, scarred and haunted, are greater by far. From the steamy streets of New Orleans to the bone-chilling Korean landscape, award-winning author Robert Olmstead takes us into one of the most physically challenging battles in history and, with just as much intensity, into an electrifying, all-consuming love affair. Robert Olmstead is the author of eight previous books. Coal Black Horse was the winner of the Heartland Prize for Fiction. 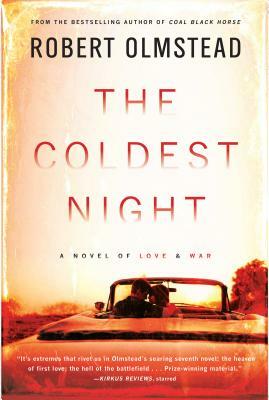 The Coldest Night was a finalist for the Dayton Literary Peace Prize. Far Bright Star was the winner of the Western Writers of America Spur Award. Olmstead is the recipient of a Guggenheim Fellowship and an NEA grant and is a professor at Ohio Wesleyan University.